Have you ever wanted to have front row seats at a fashion show...in Paris? Well, here's your chance...sort of. I came upon this wonderful video featuring the Julien Fournié Spring/Summer 2014 Collection. Oh, my it's glorious to watch. The music is dainty and very much ballerina inspired I believe. I love the fabrics he chose and the way the skirts and dresses move when the models walk..they're like dainty little flowers and how the fabrics sparkle! 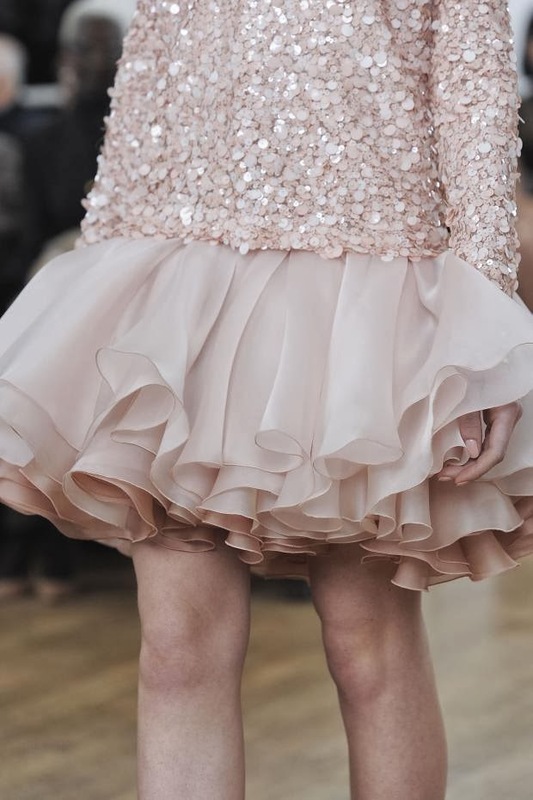 I love the sparkle. Here are some of my favorites. Enjoy the fashion show!! Images via totemfashion.com and fashionising.com. I'm so glad you found it too! Isn't it though? Tres gorgeous.